This is TOO good! Yes, this IS what they would do if they were still here! 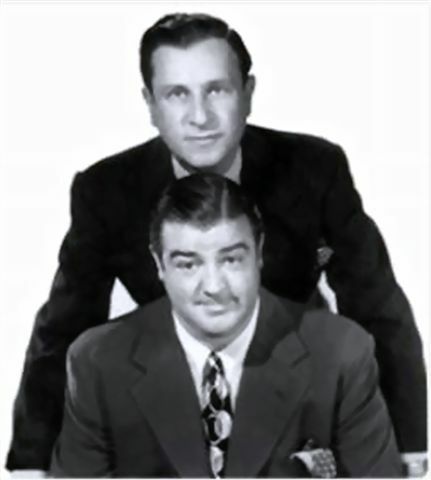 You have to be old enough to remember Abbott and Costello, and too old to REALLY understand computers, to fully appreciate this. ABBOTT: Super Duper computer store. Can I help you? COSTELLO: Thanks I'm setting up an office in my den and I'm thinking about buying a computer. COSTELLO: No, the name's Lou. COSTELLO: I don't own a computer. I want to buy one. COSTELLO: I told you, my name's Lou. COSTELLO: Why? Will it get stuffy in here? ABBOTT: Do you want a computer with Windows? COSTELLO: I don't know. What will I see when I look at the windows? COSTELLO: Never mind the windows.. I need a computer and software. COSTELLO: No. On the computer! I need something I can use to write proposals, track expenses and run my business. What do you have? COSTELLO: Yeah, for my office. Can you recommend anything? COSTELLO: You just did what? COSTELLO: OK, what did you recommend for my office? COSTELLO: Yes, for my office! ABBOTT: I recommend Office with Windows..
COSTELLO: I already have an office with windows! OK, let's just say I'm sitting at my computer and I want to type a proposal. What do I need? COSTELLO: The only word in office is office. ABBOTT: The Word in Office for Windows. COSTELLO: Which word in office for windows? ABBOTT: The Word you get when you click the blue 'W'. COSTELLO: I'm going to click your blue 'w' if you don't start with some straight answers. What about financial bookkeeping? You have anything I can track my money with? COSTELLO: That's right. What do you have? COSTELLO: I need money to track my money? ABBOTT: It comes bundled with your computer. COSTELLO: What's bundled with my computer? COSTELLO: Money comes with my computer? ABBOTT: Yes. No extra charge. COSTELLO: I get a bundle of money with my computer? How much? COSTELLO: Isn't it illegal to copy money? ABBOTT: Microsoft gave us a license to copy Money. COSTELLO: They can give you a license to copy money? ABBOTT: Why not? THEY OWN IT! COSTELLO: How do I turn my computer off?